Alzheimers Res Ther. 2019 Feb 23;11(1):20. doi: 10.1186/s13195-019-0473-4. [18F]FDG-PET hypometabolism patterns are indicative of different neurodegenerative conditions, even from the earliest disease phase. This makes [18F]FDG-PET a valuable tool in the diagnostic workup of neurodegenerative diseases. 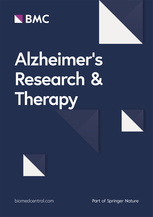 The utility of [18F]FDG-PET in dementia with Lewy bodies (DLB) needs further validation by considering large samples of patients and disease comparisons and applying state-of-the-art statistical methods. Here, we aimed to provide an extensive validation of the [18F]FDG-PET metabolic signatures in supporting DLB diagnosis near the first clinical assessment, which is characterized by high diagnostic uncertainty, at the single-subject level. In this retrospective study, we included N = 72 patients with heterogeneous clinical classification at entry (mild cognitive impairment, atypical parkinsonisms, possible DLB, probable DLB, and other dementias) and an established diagnosis of DLB at a later follow-up. We generated patterns of [18F]FDG-PET hypometabolism in single cases by using a validated voxel-wise analysis (p < 0.05, FWE-corrected). The hypometabolism patterns were independently classified by expert raters blinded to any clinical information. The final clinical diagnosis at follow-up (2.94 ± 1.39 [0.34-6.04] years) was considered as the diagnostic reference and compared with clinical classification at entry and with [18F]FDG-PET classification alone. In addition, we calculated the diagnostic accuracy of [18F]FDG-PET maps in the differential diagnosis of DLB with Alzheimer’s disease dementia (ADD) (N = 60) and Parkinson’s disease (PD) (N = 36). The single-subject [18F]FDG-PET hypometabolism pattern, showing temporo-parietal and occipital involvement, was highly consistent across DLB cases. Clinical classification at entry produced several misclassifications with an agreement of only 61.1% with the diagnostic reference. On the contrary, [18F]FDG-PET hypometabolism maps alone accurately predicted diagnosis of DLB at follow-up (88.9%). The high power of the [18F]FDG-PET hypometabolism signature in predicting the final clinical diagnosis allowed a ≈ 50% increase in accuracy compared to the first clinical assessment alone. Finally, [18F]FDG-PET hypometabolism maps yielded extremely high discriminative power, distinguishing DLB from ADD and PD conditions with an accuracy of > 90%. The present validation of the diagnostic and prognostic accuracy of the disease-specific brain metabolic signature in DLB at the single-subject level argues for the consideration of [18F]FDG-PET in the early phase of the DLB diagnostic flowchart. The assessment of the [18F]FDG-PET hypometabolism pattern at entry may shorten the diagnostic time, resulting in benefits for treatment options and management of patients.